If you want NPR to pick up your radio show or podcast, you’ll want to pay attention to N’Jeri Eaton, NPR’s senior manager for program acquisitions. Eaton and her colleagues plan to launch an online portal in October for content creators — both those who work at NPR and those who don’t — to pitch ideas for new shows that NPR might help produce or distribute. This is a far cry from a few years ago, when NPR was trying to get out of the business of distributing other people’s content. 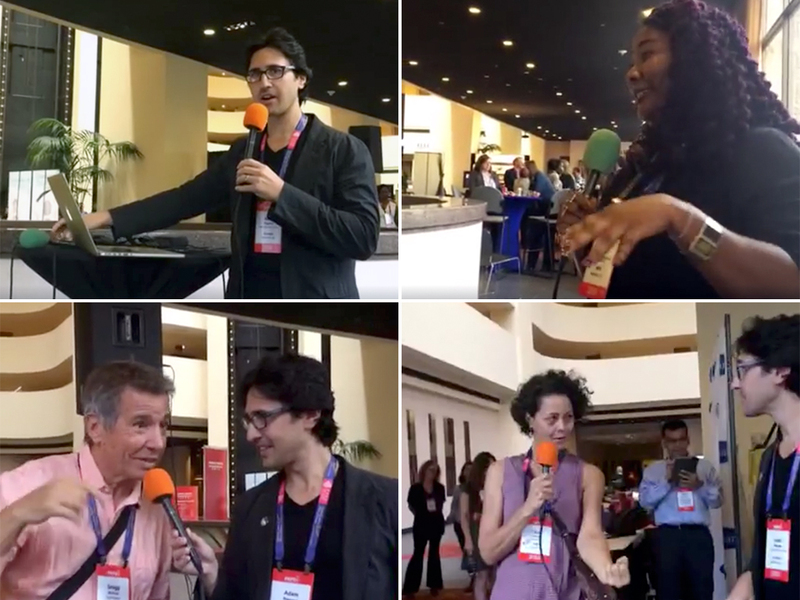 Eaton discussed the new pitch portal during a live recording of The Pub at the 2016 Public Radio Program Directors conference in Phoenix, where she also announced a major expansion of NPR’s Story Lab, the network’s content innovation unit. A veteran of public television documentary presenter Independent Lens, Eaton thinks it will be much easier for her to find and cultivate creators and programs for NPR. Also on the show this week, I contemplate the costs of doing “edgy” programming (and the costs of not doing it), with the help of hilarious listener-complaint stories submitted by OETA’s Cassie Gage and KMFA’s Chris Johnson, and one from KBIA’s Nathan Lawrence about a lady who thought her horses didn’t like Tom Ashbrook. Seriously. Why hasn’t anyone heard of the author of one of the most famous and enduring pieces of theme music ever written?